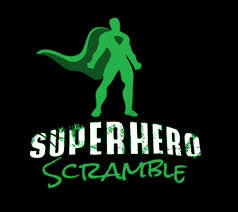 SUPERHERO SCRAMBLE has an upcoming race that will include 13 miles of wicked terrain, 30+ obstacles, X-Treme Rock Walls, Leap of Faith, The Beast and the SUPER SLIME SLIDE (no other race has the SUPER SLIME)! SUPERHERO SCRAMBLE’s mission is to get people off their couches and into an atmosphere that is out of their comfort zone, which includes wearing a crazy superhero costume! Prices: SUPERHERO SCRAMBLE proudly supports real life superheroes including: armed forces, veterans, police and firefighters and gives them $10 off registration (must show proper ID). Prices range from $79 to $139 Sign up today for the lowest price.